This flexible and unique programme is designed to allow practitioners who work in mental health services to build upon previous knowledge and experience in the field. It aims to enhance this prior knowledge and experience to facilitate your development and mastery in mental health-related skills and knowledge. It is anticipated that completing this MSc will enable you to contribute to the enhancement of professional mental health practice, research and service development. Why study MSc Mental Health Studies at Middlesex? You will be given the opportunity to study with others from a wide range of mental health settings and backgrounds, both nationally and internationally. It is hoped that the diversity of this learning environment stimulates enhanced learning of mental health issues, leading to improved practice and service development. This MSc will allow you to plan your own individual study pathway to meet your personal, professional, academic and service needs. Furthermore, the optional modules can be taken at a pace and frequency that suits your circumstances, taking into account issues such as your location and work-life balance. As such, a number of modules are available via distance learning. The best way to undertake this programme is over a minimum of two years. This will enable you to continue working in clinical practice and use that practice to help you complete the assignments on the course. You will complete the programme by choosing from a selection of modules that are available in the department. Please note that although we have an October start, dependent upon your choice of modules, it may be that your first class dates for your first modules may have a January start. This will be discussed with you when you start on the programme and choose the modules you wish to undertake. In order to complete the programme applicants must be working in mental health or mental health related caring services with direct access to service users. They must be working with mental health service users during the course of their studies. This is so that assessments on the programme can be completed. EU and International students will need to provide evidence in their application that they have arranged such access before their application can be processed. Overall, the programme is designed so that, where possible, credits achieved through prior study are recognised as part of the award. What will you study on the MSc Mental Health Studies? Here you will undertake a module which enables you to develop your research methods skills. This will give you 30 academic credits . Applicants who have undertaken prior learning for which they have gained academic credit, may be able to use these credits towards the final award of masters. If you do not wish to study the full MSc, you can complete a PGCert (60 credits) where you choose a combination of Optional Modules from the list above. If you do not wish to study the full MSc, you can complete a PGDip (120 credits) where you study one core module and the remaining 90 credits are chosen from the Optional Modules list above. How is the MSc Mental Health Studies taught? You will work on practical assignments as well as attending lectures, workshops and seminars, where you will take part in class discussions and give presentations. You will work on problem-solving exercises, case studies, role-play exercises and group exercises, and supplement all this with your own independent study, including online learning. You will submit a research proposal and dissertation or work-based project, for which you will receive one-to-one tuition. As well as exams, practical assessments and your dissertation or project, you may be assessed through a variety of means: reports, critical reflections on practice, service reviews, literature reviews, critical reviews of evidence, reflective journals, study skills workshops, case studies, online quizzes, presentations and class discussions. These will depend on the modules you take. You will receive regular feedback on your work, both from your tutors and other students. In order to complete the programme applicants must be working in mental health or mental health related caring services with direct access to service users. They must be working with mental health service users during the course of their studies. This is so that assessments on the programme can be completed. EU and International students will need to provide evidence that they have arranged such access before their application can be approved. There are two potential routes to accessing the MSc in Mental Health Studies and what you study will vary according to the route you take. Applicants who have studied at a Higher Education Institute before and have gained academic credits may also APEL up to 90 credits of prior learning. Please note that applications MUST be completed in full, including all past academic and employment experience. Incomplete applications cannot be processed and may delay the application process. Applications close on 1 July for an October start. Applicants undertaking this route, please apply through our online application system. Applicants who are former students of Middlesex University and who have completed either the PGDip in Mental Health Practice (Graduate Mental Health Worker) or the PGDip in Mental Health Nursing need only complete module NSA4050 (Developing Research Capacity). Please note this route is only open to former graduates of Middlesex University. If your course fees will be paid for by an NHS Trust under contract with the University, then please download an application form by following the link from our CPD health webpage. However, if your course fees will not be paid for by an NHS Trust under contract with the University (for example, you are funding your own studies), please complete the Middlesex University application from our postgraduate applications webpage. Find out more about how to apply via this route. The fees below are only applicable to self-funding students and are for the 2019/20 academic year. Alumni of Middlesex University can apply for a discount on the course fees, and may also benefit from a number of potential scholarship routes. The fees below are only applicable to self-funding students and are for the 2019/20* academic year. 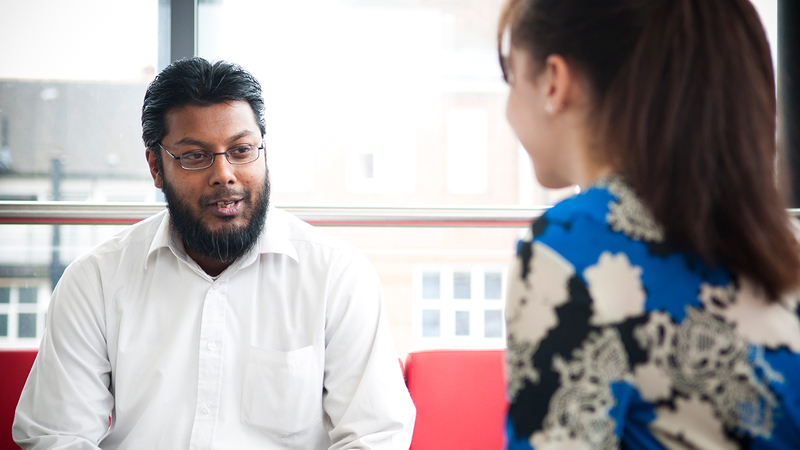 How can the MSc Mental Health Studies support your career? This programme is aimed at practitioners who have experience of working in a mental health setting. It provides an excellent opportunity for them to use their existing expertise, professional qualifications or work experience to gain a recognised qualification. The Mental Health Studies Programme has been specifically designed to further your career within the industry through enhancing existing professional practice through personal development and self-managed learning, as well as consolidating and expanding your professional network. You will have the opportunity to gain a qualification that is directly relevant to your field of work and the projects you complete will also make a significant contribution to the achievement of your work objectives. Combined, these benefits provide a powerful stimulus to career development and enhancement in your professional area.